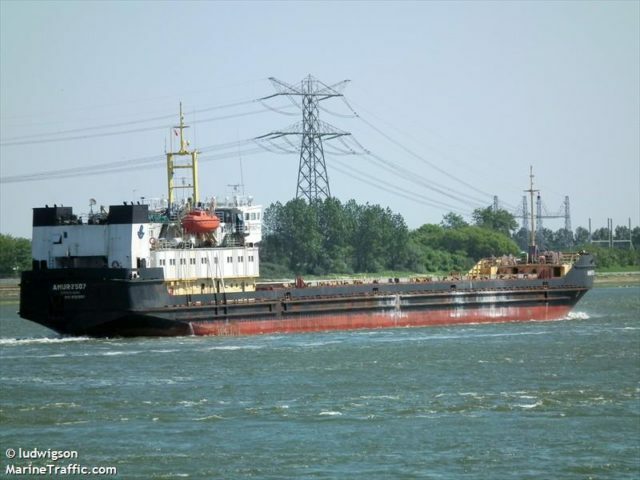 The 115 meter long, 3340 dwt cargo vessel Amur 2507 ran aground on the Don River near Shmat, Russia. The Amur 2507 was en route to Samsun, Turkey from Rostov-on-Don with a cargo of wheat when it grounded on the river. Tugs were dispatched to the scene, but were unable to refloat the cargo vessel. Indications suggest the Amur 2507 will need to be lightered before it can be refloated. No reports of injuries or pollution released.